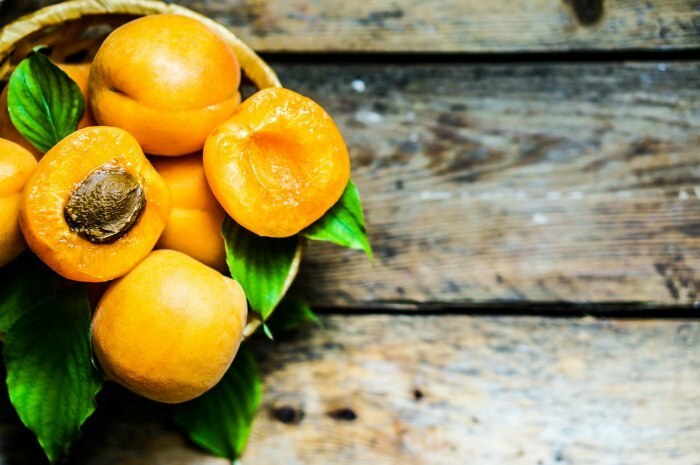 Whether you prefer a taste of apricot or a mixture of oranges with cranberries, this will be a meal to remember. Easter dinner is a big deal in my house. And I always serve some kind of ham. But before we even get to glazing a ham, it’s important to know how to prep the ham beforehand. Many frozen hams are fully cooked and can be served as soon as they’re properly thawed, which is an ideal solution for a casual brunch with mini sandwiches on the menu. However, if you’re serving an elegant holiday dinner, you’re more likely to prefer a warm centerpiece dish. A fully cooked ham is still a time-saving option; you’ll just need to allot time to heat it in the oven once it’s thawed. 1. Start by thawing a fully cooked ham in the refrigerator for 24-48 hours. 2. 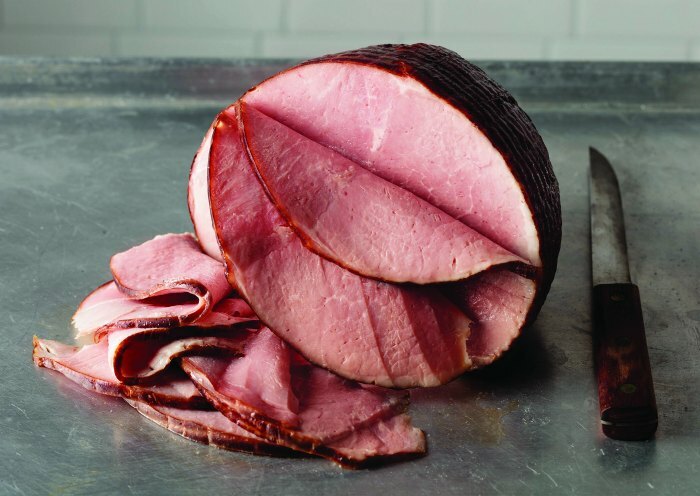 To keep your ham extra moist, always put the cut-side down. You might also consider placing a baking rack in the pan and adding a quarter-inch of water before placing the ham on the rack. 3. For a spiral-cut, bone-in ham, heat the oven to 325 F. Remove ham from film and foil. Place ham cut-side down on a raised edge baking pan lined with foil. Heat uncovered 60-75 minutes for the entire ham or 10 minutes per pound for smaller portions. 4. For a boneless ham, heat the oven to 350 F. Place the ham, cut-side down, on a raised edge baking pan lined with foil. Cover the ham tightly with foil and heat 35-40 minutes. 5. 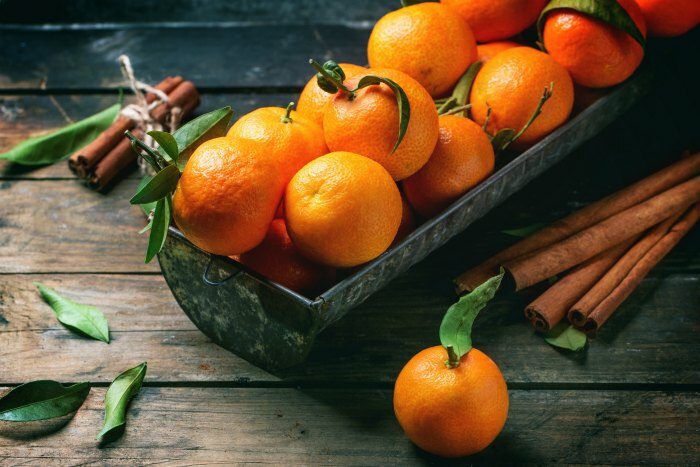 Another option for adding extra juicy flavor is a glaze, which can be as simple as dissolving three parts brown sugar into one part honey in a small saucepan. Or for a more elegant affair, consider a fruit-infused glaze to complement the savory pork. If you always thought a ham is a ham is a ham, it’s time to think again. From the type of meat to the smoking preparation to specialized slicing that makes serving easy, there are plenty of options to consider when choosing the right ham. 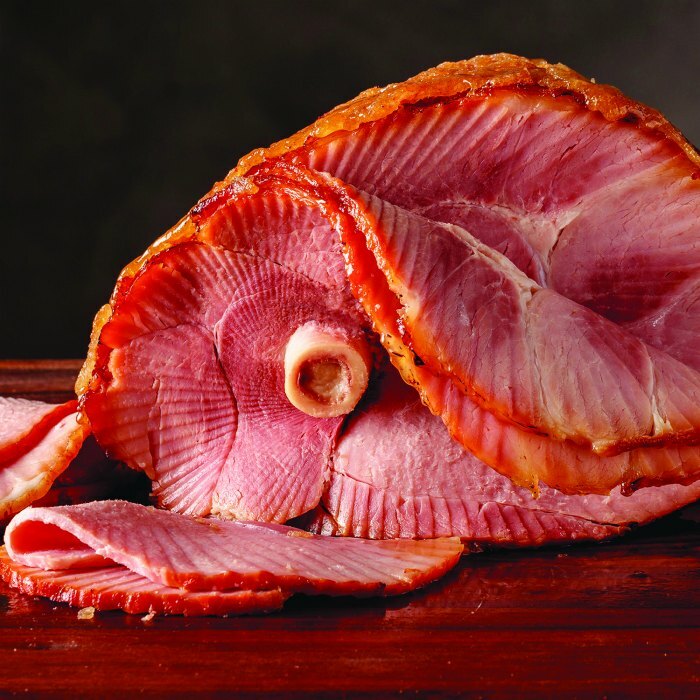 For an elegant gathering that demands premium ingredients, choose a ham that features more marbling for an exceptionally rich flavor and texture, making for a tender, savory and juicy main course with no basting or injection needed. Put a little flair in your Easter meal with a uniquely flavored ham. Use complementary sides with subtle nutty notes, such as a sweet potato casserole, to enhance your menu even more. 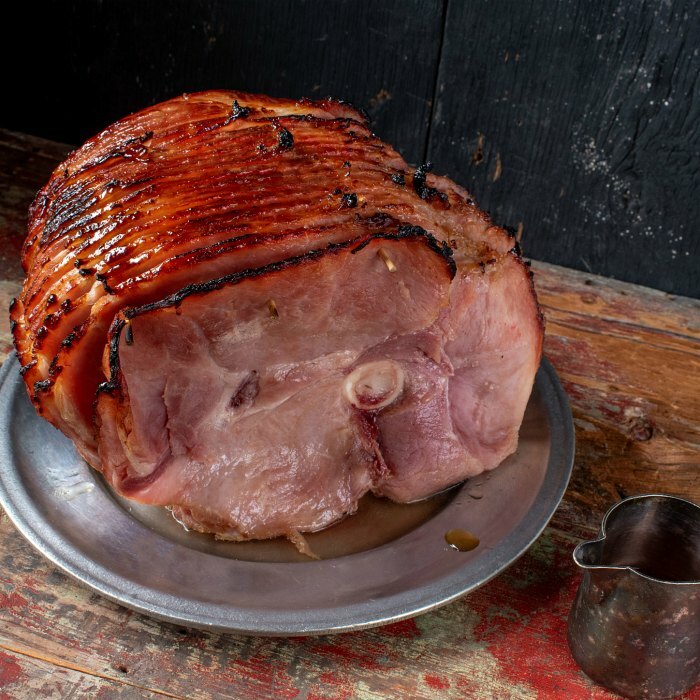 This is probably the most common Easter ham you think of – often with a sweet and sticky brown-sugar crust. You can pick any of these types of ham to add your own spin to your Easter dinner. 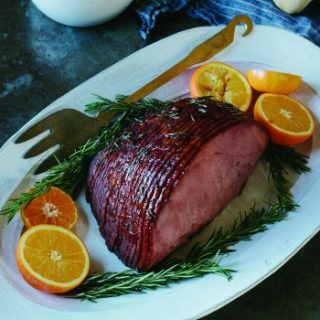 A special thanks to Omaha Steaks for these wonderful fruit infused glazed ham recipes. And now for the glazes! Why serve just a regular ham when you can really wow your guests? 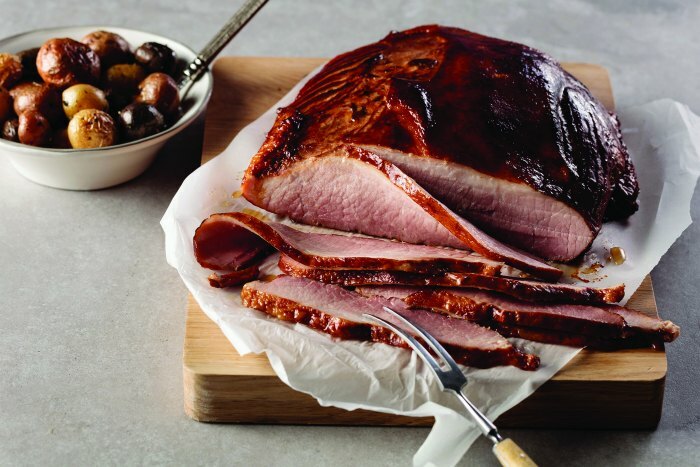 These two glazed ham recipes will really add some pop to your Easter or holiday dinner. In saucepan, mix brown sugar, cornstarch and ginger. For glazing, I prefer to use a silicone basting brush. When I’m done, I just throw it into the dishwasher. And if you’re wondering how to properly glaze your ham, you can learn how to a glaze a ham here.